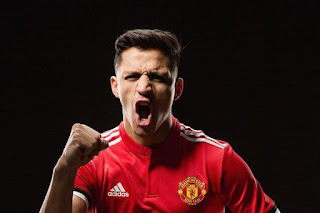 Alexis Sanchez’s move from Arsenal to Manchester United, has seen him become the highest-paid player in the English Premier League. Sanchez moved to Old Trafford, with Henrikh Mkhitaryan moving the other way in an extraordinary swap deal. The Chilean has penned a £350,000-a-week contract with the Red Devils, which is by far the biggest deal ever signed by a footballer in England. Sanchez now earns £60,000 a week more than previous top earner, team-mate Paul Pogba. Manchester City playmaker, Kevin De Bruyne, who signed a new deal at the Etihad Stadium until 2023, is third. The list of the highest earners is dominated by Manchester, with City and United paying the eight biggest wages in the Premier League. The only non-Manchester based players in the top 10 are Eden Hazard at Chelsea and new Liverpool signing, Virgil van Dijk.